Imagine a world where Netflix, news, weather, games, whatever you’re most connected to, really — all of these daily (dare we say, hourly) apps are all a tap away, right in front of your eyes. This concept, relegated to cyberpunk and science-fiction, is quickly moving towards becoming, well, fact. 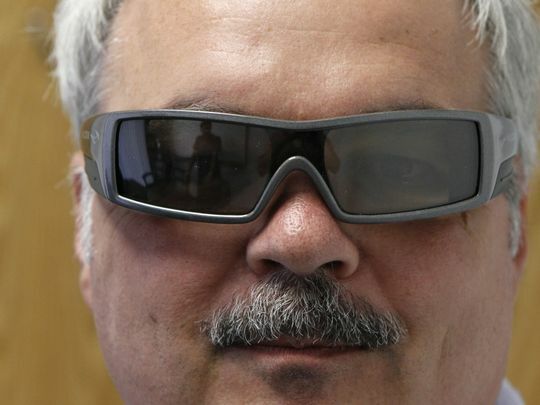 Rochester, NY-based Vuzix is working to make that a reality. The company has just started selling its Blade AR Smart Glasses to consumers for $1000, and it also received a CES 2019 Innovation Award for the technology. The idea is to provide users with all the functionality of a phone without ever needing to take the phone out of your pocket. 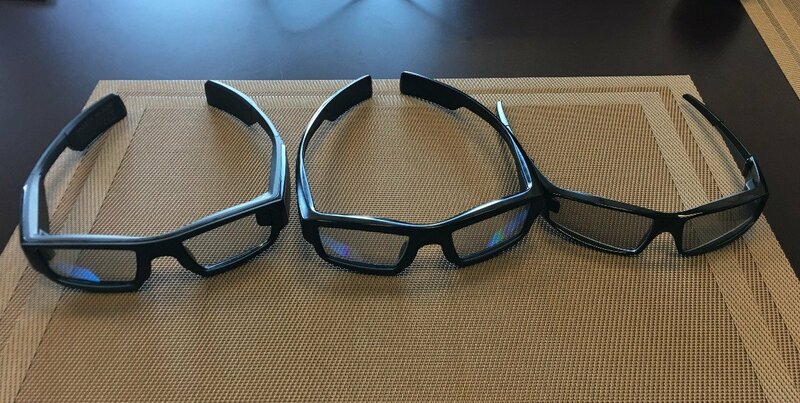 And ultimately, Vuzix CEO Paul Travers told GameDaily that glasses like these will completely replace the phone. I met with Travers at Vuzix’s Rochester, NY headquarters. Travers has been working in the AR/VR space since the early ‘90s, but it’s only now that the technology is getting to the point where it’s streamlined enough to become mainstream. “I think Palmer Luckey was one years old when I started a virtual reality head mounted display company in ’93,” he said. The company wasn’t called Vuzix then and it went through a number of name changes. In the mid-90s, the biggest opportunity was for defense markets. Fast forward 30 or so years, and Vuzix is almost at that sunglasses-style tipping point. Travers showed me a progression of the glasses and the prototype for how thin the next model could be (pictured below). The company is working on shrinking down its proprietary waveguide, which displays the superimposed image on the lens. Vuzix’s bread-and-butter isn’t true AR. It’s more about augmenting your field of view with information or entertainment that you would ordinarily get on your phone. It’s more akin to Google Glass than Magic Leap, which is a deliberate distinction. “It’s really hard to make things people will wear,” Travers said. “Just think about Magic Leap. It’s not that comfortable and you look like you just stepped off the Starship Enterprise. We’re not believers in that. So our focus is on making it so people will want to wear it. If you can make a product that Apple would want to put their name on, you at least have solved the problem associated with wearability. Travers doesn’t necessarily view Magic Leap or HoloLens as competitors, since they’ve taken a different approach to augmented reality. Neither has keyed in on wearability from the early stages. Similar to Magic Leap, Vuzix has been focused more on the enterprise arena so far, but gaming is certainly going to be an area for the Blade smartglasses too. I played around with some simple demos, shooting spaceships, dinosaurs, etc. It’s not mind-blowing stuff, but it’s enjoyable, and with more developers coming on board, the app market is sure to produce a few gems as it matures. “There are currently over 400 developers a month signing up on our website,” Travers said. “It’s mostly smaller guys because the bigger guys are like,’Tell me when you’ve got 5 million of them in the field and we’ll support it.’ But there’s a ton of little guys. Social media services [will be big too]. There’s one guy in the UK, his whole company – it’s running on Apple, but it’s a dating app. He’s like, ‘I’m telling you, it has to be on your glasses for so many reasons, so many environments I want it for.’ So it’s guys like that doing some pretty far out stuff, from entertainment to social media to even facial recognition kinds of things if you opt in. Google Glass wearers were often mocked, but society’s attitudes towards connected devices continues to evolve. People are trained to hold up their phones as cameras or AR devices from an early age. The social awkwardness may be fading. Making the glasses as thin and unobtrusive as possible is only going to help. With 5G around the corner, Travers sees big possibilities for offloading a lot of the computing that would have been needed inside the glasses in the past. The cloud has become extremely powerful. The Blade smartglasses have built-in audio, but also work with micro USB or bluetooth headphones. You can also get prescription lenses if needed. The glasses being sold as of today offer support for Google Assistant and Amazon’s Alexa as well. It’s clearly very early days, but the potential is certainly there. 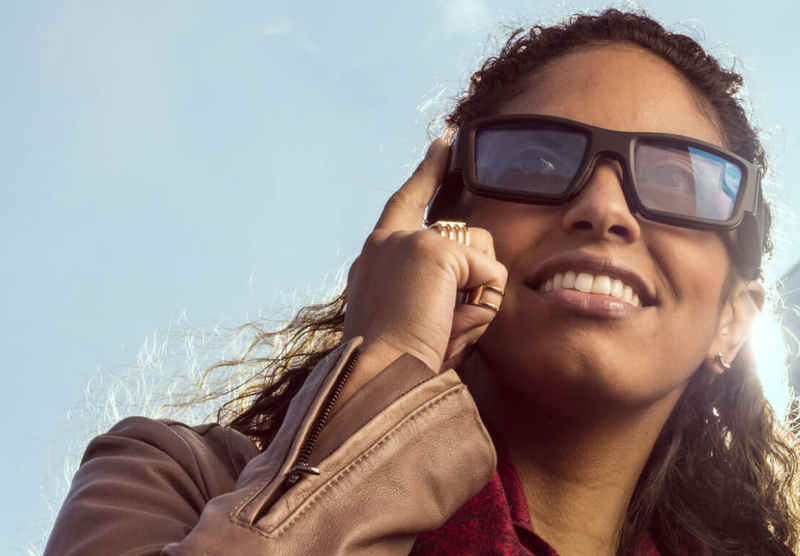 Unlike Magic Leap’s creator program, for which the company is investing “eight figures” to support developers, Vuzix won’t be covering developer costs on that scale, but the company does plan to give the right developers free kit to work with. “We’re a small company, so it’s hard to do this for everyone, but we give away a fair number of units, strategically,” Travers told me. And it’s important to recognize that Vuzix’s Blade smartglasses have already become a consumer product, albeit a pricey one. It’s required a little bit of outside-the-box thinking for the company. Travers said they’re currently negotiating with wireless carriers to start reselling the Blade, and he also described a unique bundle with a golf company out of Buffalo, NY. Attendees at CES next week will be able to check out Blade demonstrations for themselves. Vuzix will be holding demos called “A Day in the Life with Blade,” which factor in the OnCore Golf product, AccuWeather integration, Amazon Alexa, Google Assistant and more. 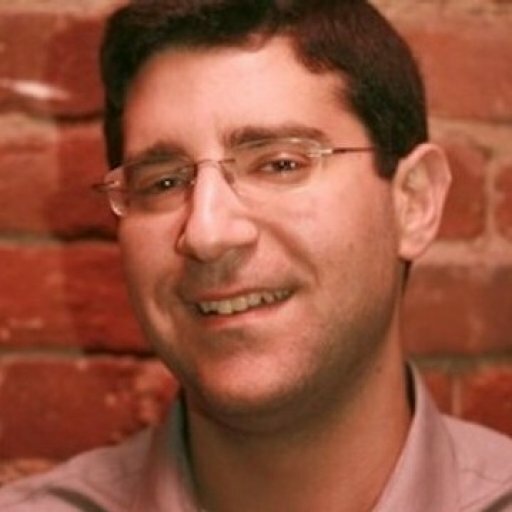 James has been covering the games industry since the early 2000s and was most recently the editor of GamesIndustry.biz. He loves Zelda, Metroidvania-style games, action adventure and single-player narratives. He’s also the proud father of twin boys and is obsessed with good coffee and Yankees baseball. You can reach him @bright_pixels on Twitter or you can email him at james.brightman@gamedaily.biz.